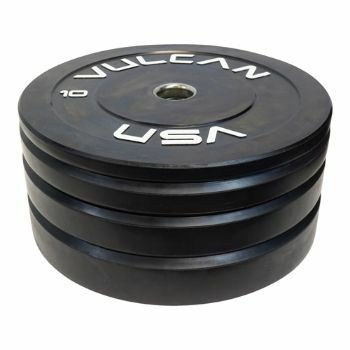 Vulcan Bumper Plates Sets are built to endure the rigors of Olympic Weightlifting and CrossFit® workouts. Unlike lower priced brands, our Bumper Plates are made of a harder and denser rubber compound. As a result, our Bumper Plates have a much thinner profile and more plates can be fit on the bar . Note: All bumper plate sets, bumper plate & Olympic Bar packages and other heavy items may ship LTL freight. 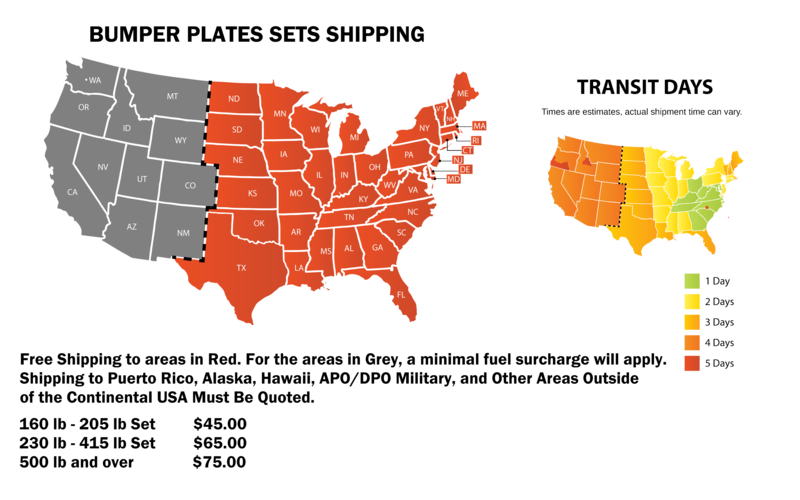 If you live in an area that is not accessible to a full sized freight truck contact us to make other shipping arrangements to avoid shipping delays.. You will be responsible for unloading the items from the truck not the driver. If you require inside delivery or a truck with a lift gate to deliver, please contact us for an additional rate quote for these extra services.